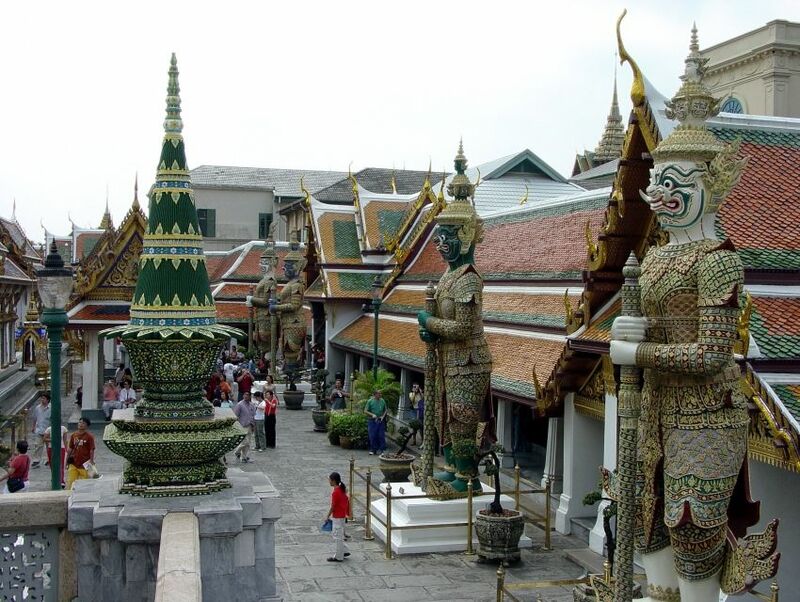 Perhaps as old as the city of Bangkok itself, Wat Phra Kaew lies in a complex that covers an area of 1.5 square kilometers (0.58 square miles) and features more than 100 buildings, including those of the Grand Palace. Also known as the Temple of the Emerald Buddha, the highlights at this temple include the recently restored murals of scenes from the Ramakien (the Thai version of the Indian Ramayana) and the 75-centimeter (29.5 inches) tall jade Emerald Buddha, the most highly revered Buddha statue in the country. While there are certain accounts that trace the origins of the Buddha statue to India and Sri Lanka, the most convincing legend around the statue links it to the Lanna Kingdom. According to legend, the statue was procured when a stucco-covered Buddha was struck by lightning at a temple in Chiang Rai. What appeared to be a slightly chipped exterior revealed a green sheen, which led to the revelation of the emerald Buddha when completely unraveled. The Emerald Buddha exchanged several hands and traversed many kingdoms before it found its rightful place in the Wat Phra Kaew. The gilded robe seen lightly resting on the revered statue is changed thrice each year by the King of Thailand himself.